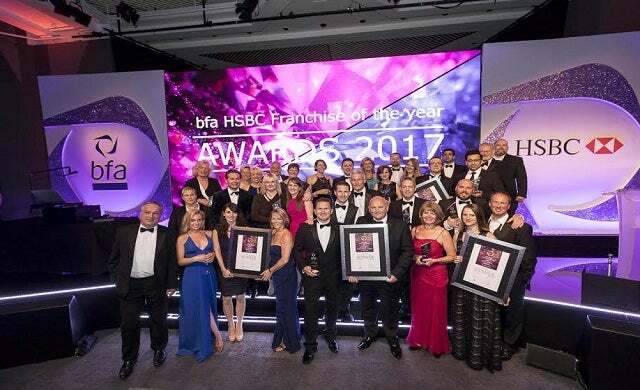 The UK’s most outstanding franchise brands have been recognised at the British Franchise Association’s (bfa) HSBC Franchise Awards 2017. Judged by a panel of industry leaders including bfa CEO Pip Wilkins and Julia Waites of The Franchising Company, the annual awards – now in its 30th year – celebrates franchisors with the best company culture, franchisee support, innovative practices and commitment to franchising ethics. Featuring businesses of all sizes and sectors, from logistics to swim schools, franchises were crowned at an awards ceremony held at the ICC in Birmingham. Domestic homecare chain Bluebird Care took the gold prize for Franchisor of the Year. Started in 2004, homecare services provider Bluebird now has more than 200 franchises across the UK and Ireland and offers franchise packages at an average cost of £37,500. Exceptional UK franchisees were also recognised at the awards, chosen for having gone “above and beyond” for their franchise network, innovation and providing exceptional customer service. “Every year the standard gets higher and we demand substantial evidence of success for both the franchisors and franchisees. To find out more about becoming a franchisee and the opportunities available to you, click here.